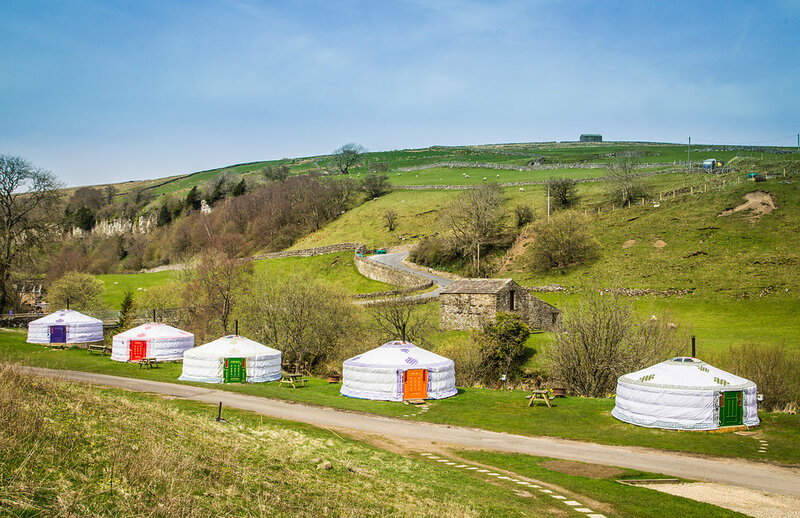 EASTER AVAILABILITY - We still have yurts available on the 15th,21st,26th, 28th,29th and 30th April - Call 01748 886159 now to book! We're delighted to have been awarded second place (highly commended) in the 2018 White Rose Tourism Awards in the category of 'Best Holiday Park'!!! Available dates 2019 - please note these are subject to change at any time therefore please contact us to confirm availability and to book. 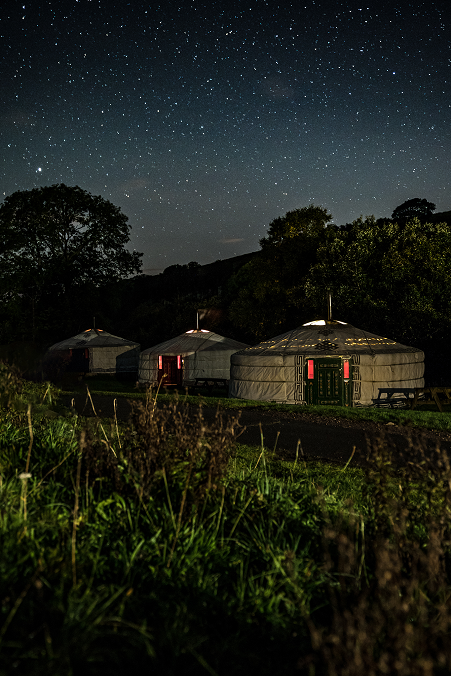 Why not come and enjoy the event in style with a 2 night stay for 4 people in one of our luxury yurts arriving on Friday the 27th September and enjoy our special package which includes breakfast and a delicious home cooked 3 course candlelit meal plus wine served in your yurt both evenings. 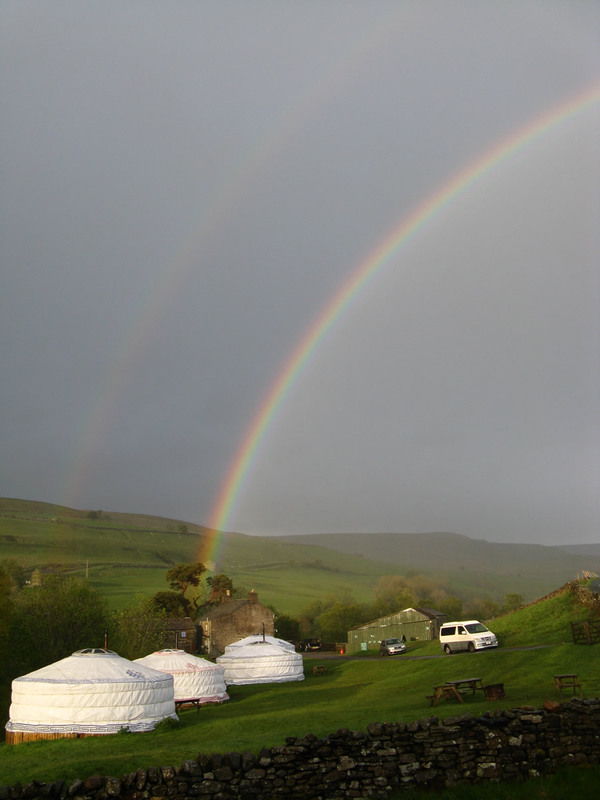 For smaller groups we also have camping pitches available – Adults £10pppn, Children £8pppn. 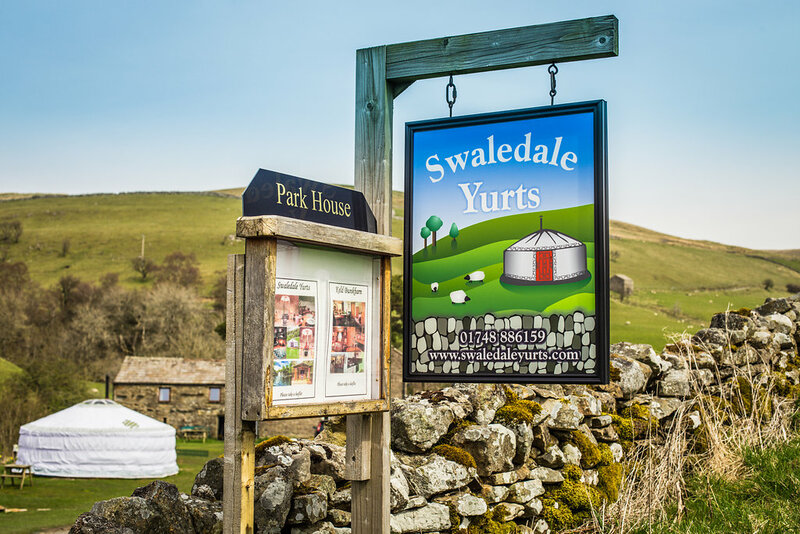 A warm welcome awaits you at Swaledale Yurts, where stunning scenery and breath-taking waterfalls provide the backdrop to our 5 Mongolian Yurts, nestled on the banks of the River Swale, right in the heart of the Yorkshire Dales. 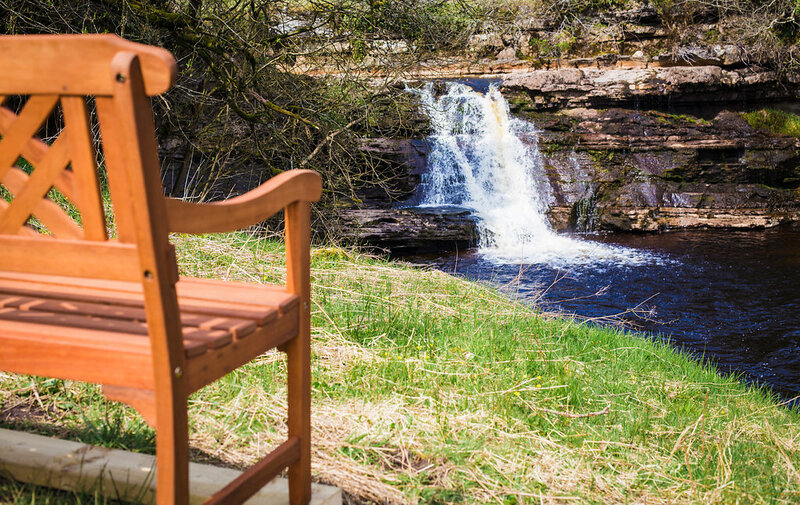 Whether you’re looking for a romantic getaway, a walking break with friends and family, a stopover on one of the many walking and cycling routes which pass through Keld, or just a countryside retreat where you can relax and get away from it all, you’ll find it here. 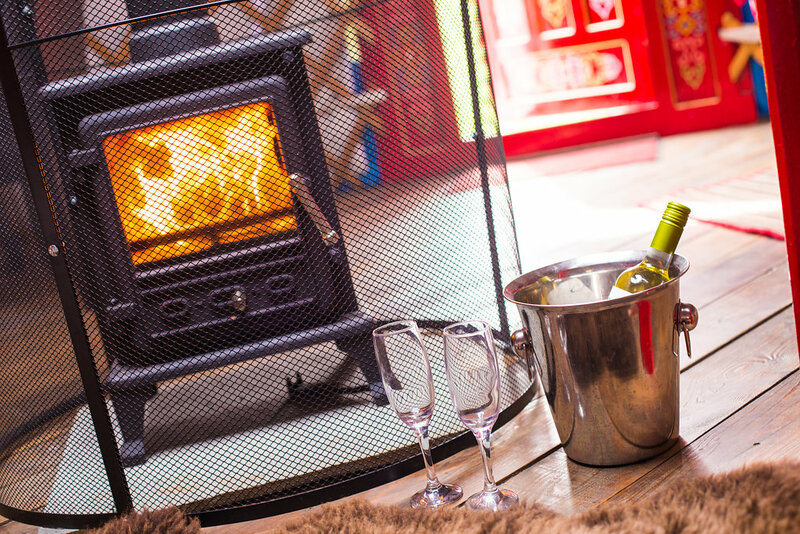 We aim to offer a unique and memorable experience, combining the joys of a night under canvas in the peace and tranquillity of the countryside, with warmth, home comforts and delicious meals served to your door, allowing you to completely relax and unwind. We are delighted to have been awarded Tripadvisors ‘Certificate of Excellence’ for 4 consecutive years, in recognition of the 5 star ratings we have achieved from independent guest reviews. 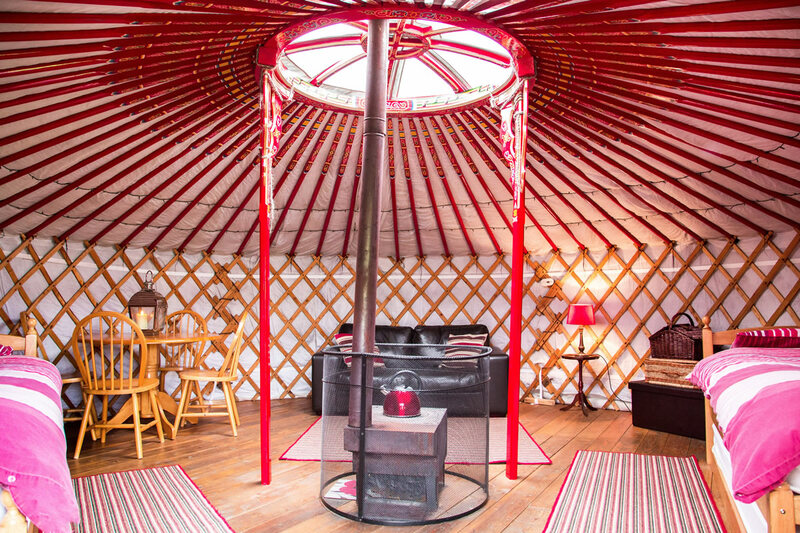 Our 5 Yurts are spacious 19ft tents with locking front doors, wood burning stoves, real beds, sofas and dining area. 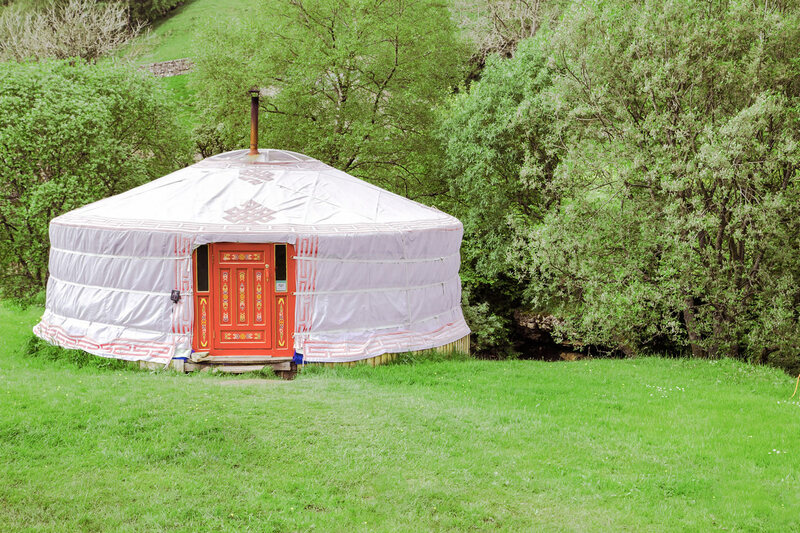 All Yurts come with an electric hook up included, along with a mini fridge, lamp, kettle, hairdryer and electric heater. Prices range from £69 to £89 a night for 2 people per night (plus £15 per extra adult or £10 per additional child per night). Click on the 'Pricing' tab to download the pricing chart. 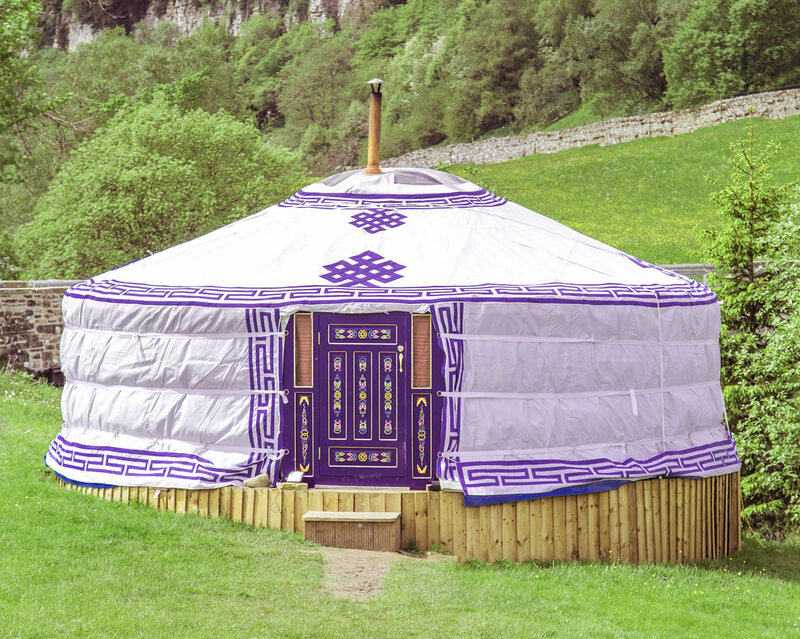 Each Yurt comfortably sleeps between 2 and 5 people on 4 single beds and a sofa bed. For couples the single beds can be pushed together to make a double bed. 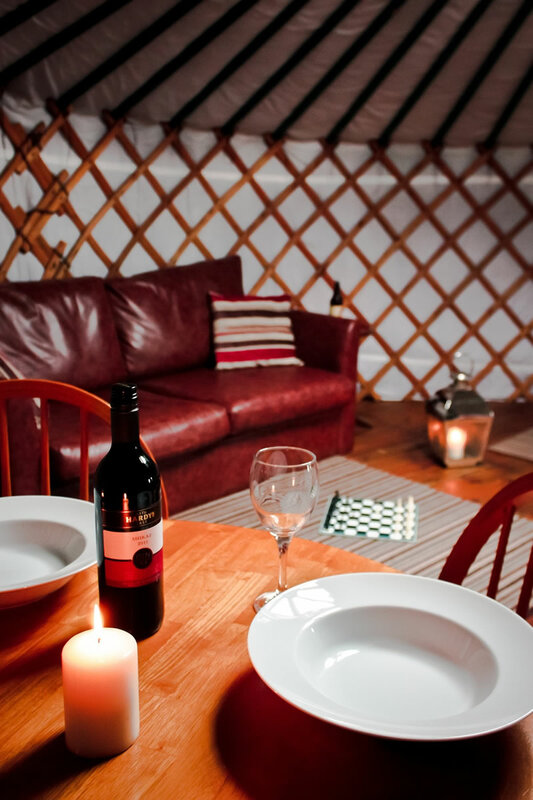 We offer a range of delicious home cooked evening meals, served to you in your Yurt. To view a sample menu and for further details on how to order just click on the 'Food and Drink' tab. 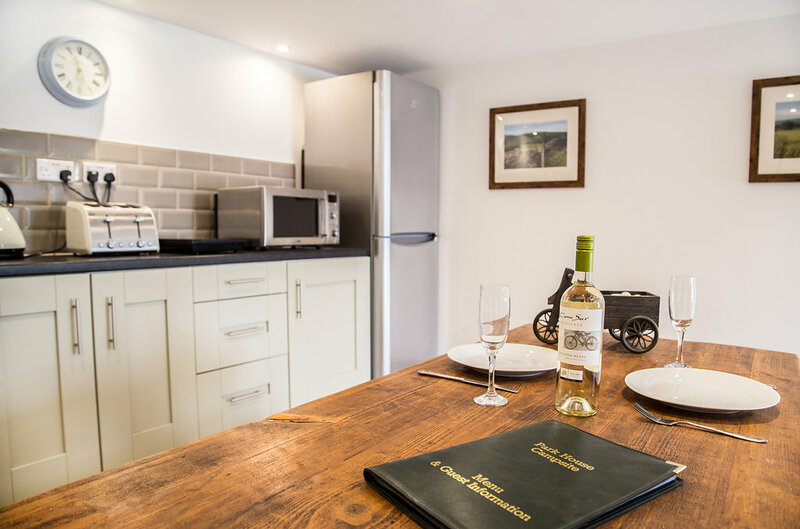 Whilst we do not allow cooking in the yurts (in order to prevent the smells being absorbed into the fabric walls) guests have access to our newly renovated campers barn which has a fully fitted kitchen including hob, fridge freezer, microwave and toaster. The kitchen is also stocked with pots and pans, crockery and cutlery. We also have a full drinks license and stock a range of wines, beers and ales. Hot breakfast baguettes are available to purchase and are brought to your door at a time to suit you. Packed lunches are available to purchase daily. 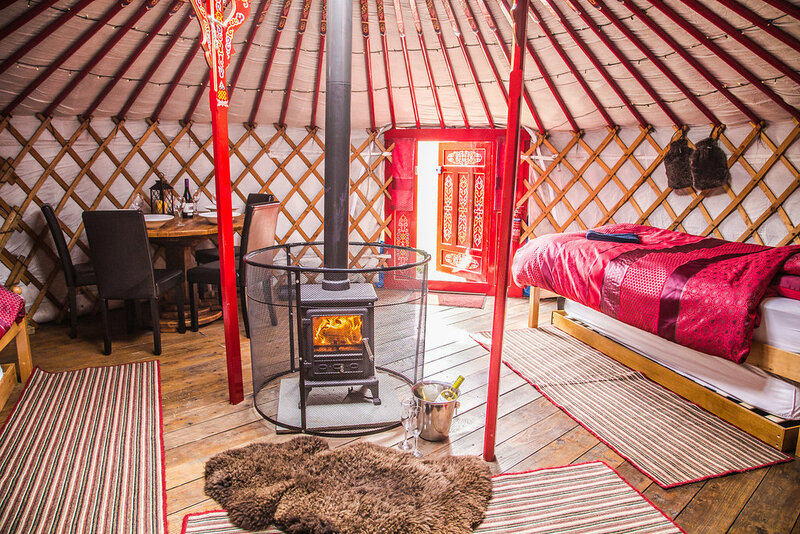 The Yurts have use of the recently refurbished modern and clean campsite bathrooms. 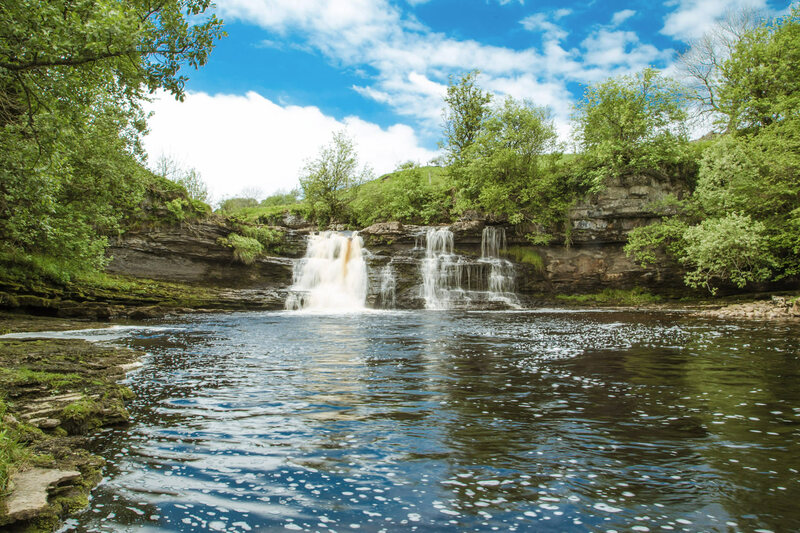 Guests can enjoy access to our own private 30ft waterfall. A rechargeable torch is provided for you to use throughout your stay. 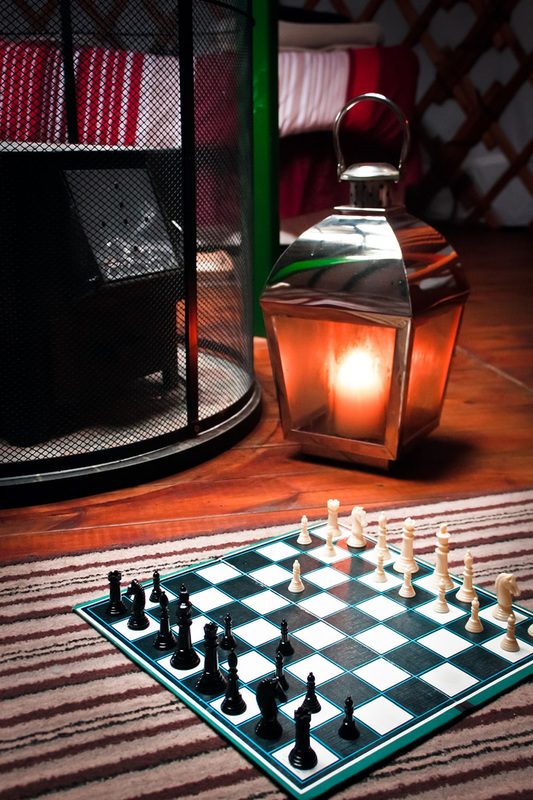 A selection of board games and playing cards are provided for your enjoyment. Maps of a selection of local walks are provided. A break with us allows you to go ‘off grid’ and escape the pressures of modern life, enabling you to completely relax and unwind. 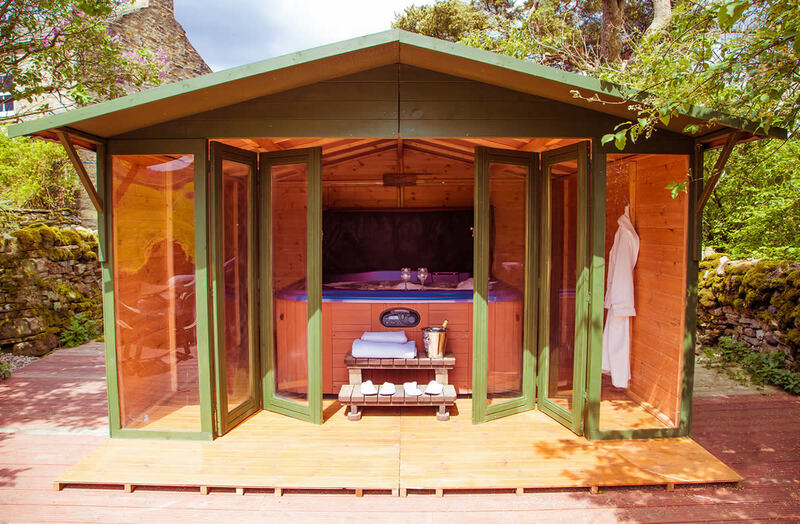 With no mobile signal to distract you, you can really get away from it all and make lasting memories in the company of friends, family or loved ones in the most beautiful of settings. Fear not though, if you do need to be contacted in an emergency or if you need to get in touch with anyone you are welcome to use our landline and free wifi is provided in the barn if you need to get online. Well behaved dogs are welcome and there is a £5 cleaning charge per dog per stay. 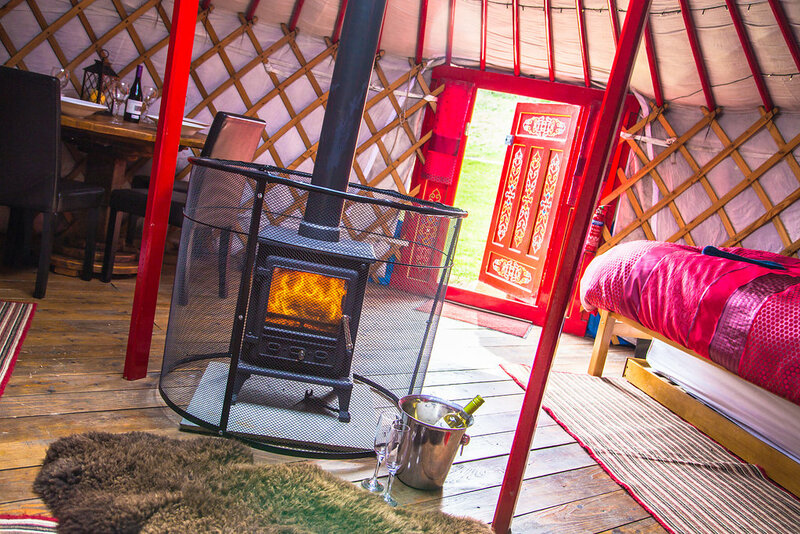 Our Yurts are available from the 1st March to the 31st October. 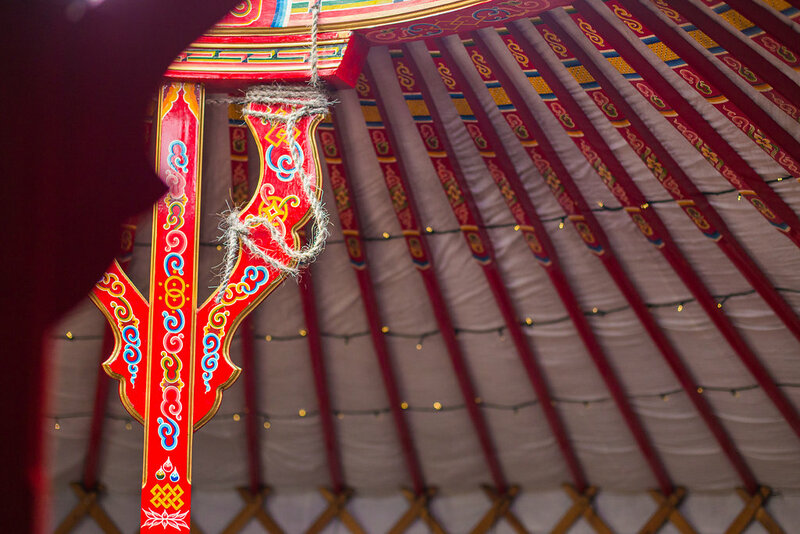 Check in is from 3pm however you are welcome to use the sites facilities if you arrive before this time while we finish preparing your yurt for you. 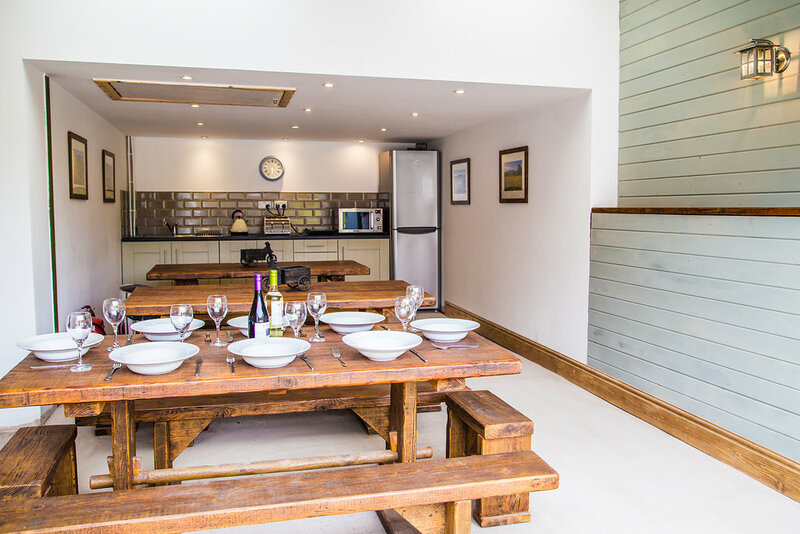 The whole site including Keld Bunkbarn is available for Private hire, click on the 'Private Event Hire' tab for further information.